What is available for the user that wants a strong camera in their phone? People are taking more and more pictures with their camera phones but other than maybe uploading them to blogs, there isn?t much that you can do with pictures that come from most camera phones. You cannot print the pictures even from a cell phone camera that is of megapixel status because the quality is still too poor. This is where the Nokia N90 comes in to play. Normally I do not take and extensive look at products that are not Windows Mobile or Palm OS based, but I decided to review the N90 for a number of reasons. First it is always good to see what products that are competitive with those you support and like. The second reason is because of the specifications and the unique camera hardware. The N90 packs strong hardware into a device with a signature camera lens. Powered by a TI OMAP processor running at 220 MHz, the Nokia N90 includes 48 MB of RAM and 32 MB of ROM. The N90 can be expanded by RS-DV-MMC cards and can connect to other devices through Bluetooth. If the included memory is not enough, Nokia includes a 64 MB memory card with an adapter to make it a full SD/MMC card. The 352x416 pixel screen supports 18-bit Color, and a large external display. 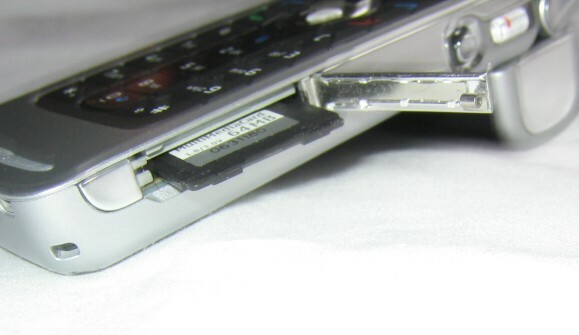 For battery life, the N90 includes a 760 mAh battery. The device is 4.41" x 2.00" x 0.94" and weights 6.10 oz. For an operating system, the N90 uses Symbian OS 8.x. The Nokia N90 runs on GSM/GPRS Tri-band dual mode 2.5/3G with WCDMA and EGPRS devices. 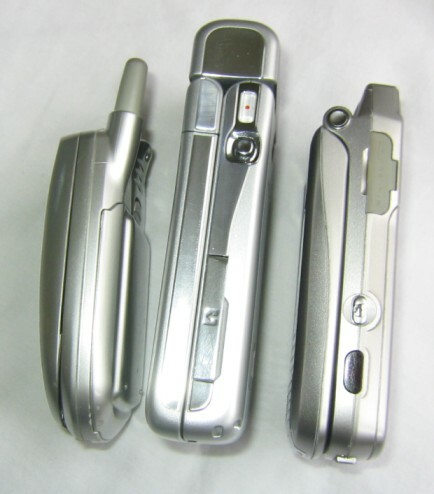 While the Nokia N90 is a basic flip-phone in many ways, it includes a double hinge. 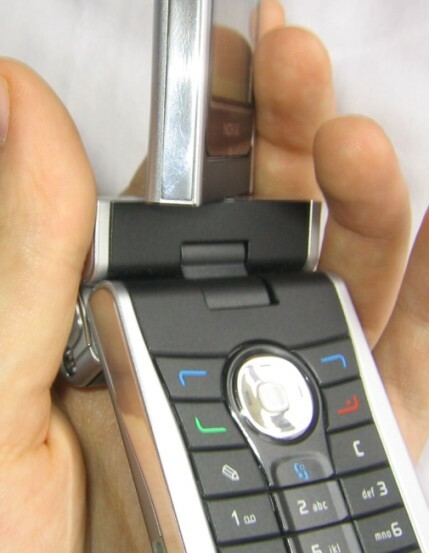 Instead of simply having a hinge at the top, the top of the device has the camera built into a module at the top. 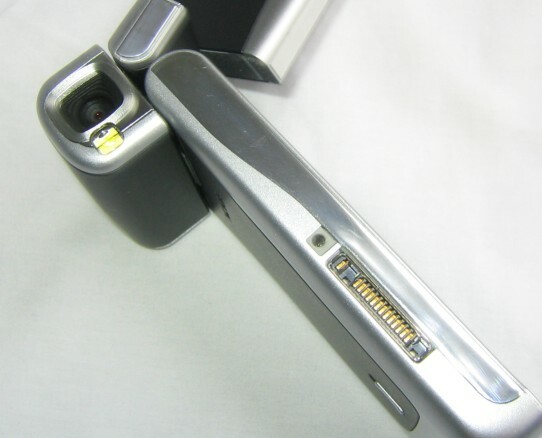 When opening the device, the camera first slides under the bottom of the N90 butting the front face at a 90 degree angle to the back, and then the front face opens to near vertical. The camera module can also spin near 360 degrees when the device is closed. The front face of the device can also twist just over 45 degrees. The front face of the device includes a large LCD external display. 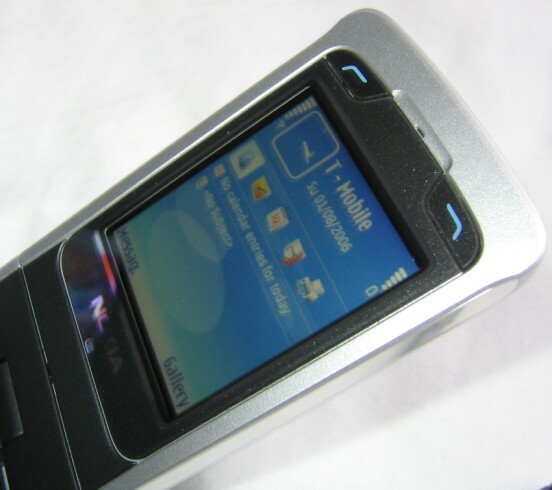 The top of the N90 has the power button and speakerphone speaker. On the left side of the N90 is the sync port connectivity (which comes with a cover) and the power adapter port. 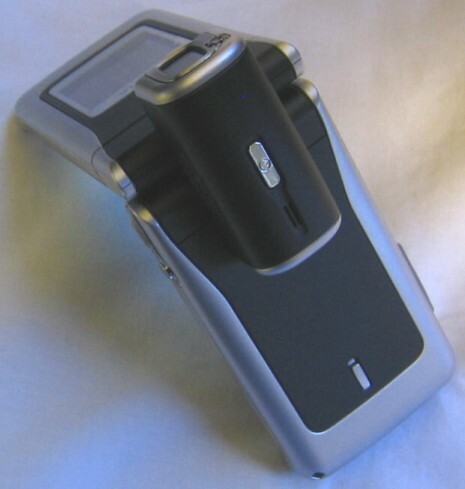 The right side of the device includes the RS-DV-MMC slot, directional pad for device control when the device is closed, and a record/snap button for the camera. The keypad inside the device is pretty standard with a numeric pad, there are two keys for operating system menu and navigation control, a directional pad, send/end buttons, and three other buttons for device functionality. Above the screen are two additional buttons above the screen which are used by the operating system when the screen is turned and the operating system switches to landscape mode. The Nokia N90 appears to me to have an interesting place in the cell phone market. For the most part, the device is a fairly standard cell phone, but when it comes to the camera part of the phone, there are a number of additional features. While the N90 may be considered just a camera phone too many people, I would actually consider the N90 to be hitting a niche market of users that actually want a good camera built in to their phone. I would not really consider the N90 just a cell phone with a camera built in, but close to being a cell phone and a camera. With services like Flickr and people using their phones more and more to take pictures to capture memories as opposed to just headshots, the N90 can fit a growing base of users that want to be able to have printable quality pictures come from their phone. 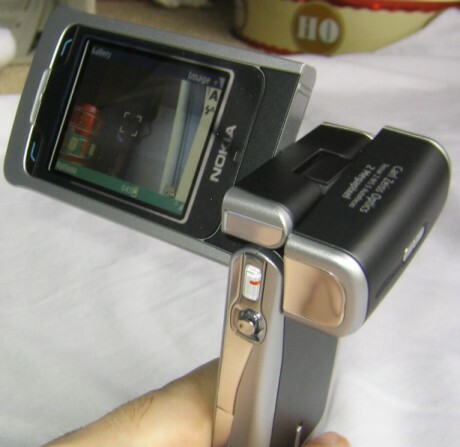 When it comes to the camera features of the phone, Nokia has included quite a number of features, many of which are built around the design of the phone. Instead of building the camera into the back or face of the phone like with most camera phones, the camera is built into the hinge of the device so there is more space for the camera to be set in. The camera in the N90 uses Carl Zeiss Optics. For those that do not know about cameras, the name might not need anything, but Carl Zeiss Optics are used in many cameras including those made by Hasselblad and Sony. The lens is based on the Tessar lens product line which has been produced by Carl Zeiss for the last 80 years. 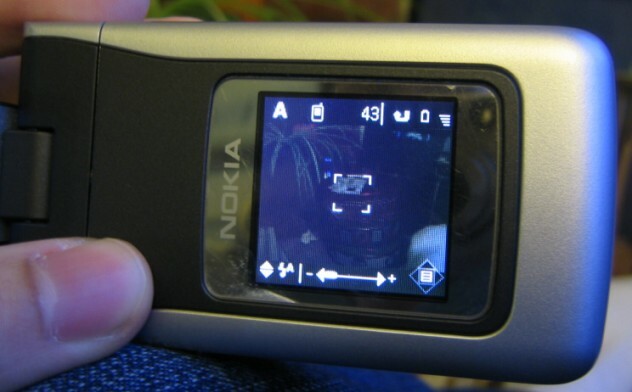 The version in the Nokia N90 includes an f/2.9 maximum aperture in the 5.5mm lens. If you know about photography those statistic may mean something to you, to others, let?s just say it is a good glass lens. The camera will shoot at up to two mega pixels. Also featured in the lens is autofocus. The N90?s camera can be used in two different ways. The first way to use it is with the phone closed. The camera simply needs to be swiveled and the outer screen will show an active image of what the camera is shooting. The record button will snap a picture and the directional pad on the outside of the device can be used to control camera functions like zoom and camera settings. This mode is great for quickly snapping a picture without having to even open the device. To stop using the camera, it just needs to be swiveled back. The other way is to open the phone then swivel the screen. Once the screen swivels, the camera will turn on. I really like this camera mode as it is very easy to hold, I can hold it lower than I would other camera phones because the screen can be tilted, and the camera can be swiveled vertically for angled shooting. What is kind of funny is while the phone is open and in camera mode, the external screen shows a camera on it. The buttons on the screen make it very easy to navigate to the screen and set options. The gallery software is ok. It looks cool how it switches between photos, but I have found it to be very slow when trying to open photos or even for the phone to render the thumbnails. When the photos are open, the high resolution screen has great clarity for viewing and zooming in on pictures. Of course videos can also be taken using the camera. Whether it is pictures or videos, the quality is great. A digital camera will likely look better when taking two mega pixel pictures simply because it can have a larger and better lens, but when it comes to a camera built into a phone, the pictures from the N90 have to top the charts. The Nokia 90 can also place video calls on networks that support the feature. 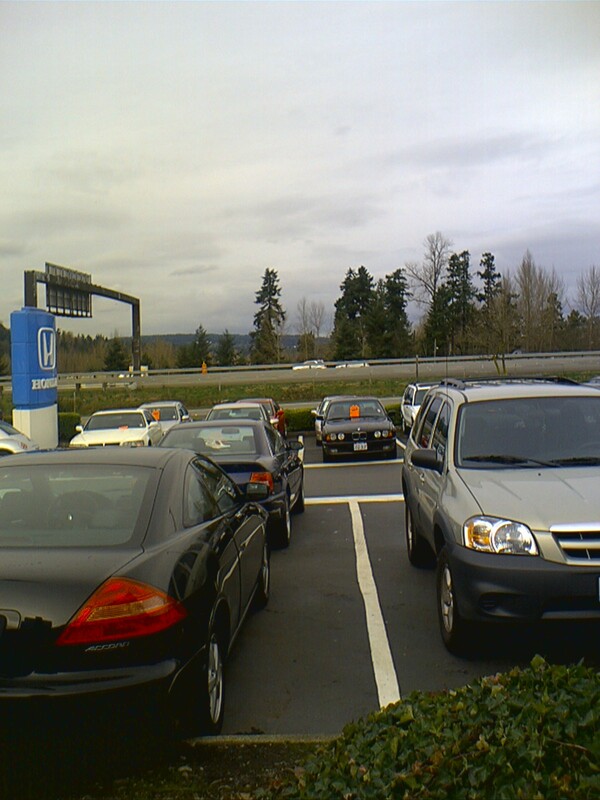 Here is an example of some simple pictures taken with the N90. 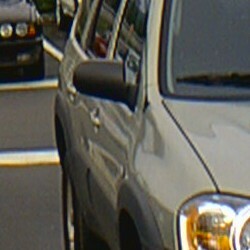 These are not full-sized images but are simply a cropped part of a two mega pixel image from the N90. You can click the images to see them at the full 1600 x 1200 resolution. Since most photos probably are not going to be taken under optimum lighting conditions, these aren't either. But these pictures are a lot better than any 1.3 megapixel camera phone or VGA camera phone by far. Local Honda car lot. Gray skies of Washington don't make for the best light, but that is what a camera phone needs to deal with. Backstage in the Ikea Lounge at "KISS 106.1's" Jingle Bell Bash with the Pussycat Dolls. Conditions are dark, but another place where you see lots of camera phones. If you are wondering why I have talked about the camera so much thus far, it is really because it is such a huge highlight of the device. I strongly think that a user that would want the N90 should be looking for a device that has a powerful camera, not just a phone with a camera. One reason I say that is because of the form factor of the device. The N90 is big. Usually the first comment I get from people is about the size. While it technically is not that much bigger than my MPx220, the boxy style of the device draws it out to look larger. I have pretty big pockets and sometimes I feel it is a little large in my pockets, both in height and thickness. It also is a relatively heavy device, which is an important consideration. When open, the N90 reaches almost all the way from my ear to my mouth. I rather like a large device when it is open as I feel that it may increase my vocal clarity to people, but when the device is closed and needs to be carried around is the other problem. My major qualm with the Nokia 90 is not the hardware. Other than the size, there is a lot that is right in the device. What I do not like is the operating system. I have never found the Symbian OS as easy to use or robust as Windows Mobile. I strongly feel that the media feature exposed in Windows Mobile would suit the Nokia 90 better than the Symbian OS. While Nokia does include a USB cable and PC software, I still find the interfaces of the software not as easy to use and simple as I would like. Nokia does include some good additional software on the device to help with the media features of the device including the XpressPrint Printing Solution for printing directly from the device. Also included in RealPlayer for video playback. The hardware of the N90 is advanced and strong, but I think that the software needs to allow the hardware to be used to its full potential. Buttons are an important part of any phone because if you ca not easily dial or type for you text messages, you are sunk. The left and right columns of keys on the numeric pad have a slightly rough feel while the middle column has a smooth feel. The buttons are large and easy to press with a nice clicking sound when they are pressed. While the directional pad looks like it could be difficult to use, it actually isn?t and works better than I was expecting. Overall, I am impressed with the usability of the keypad. The speakers on the N90 are also very strong. I was first impressed with the speakerphone speaker which I activated on accident. It is loud and clear, and sends back a strong signal to the other end of the conversation. 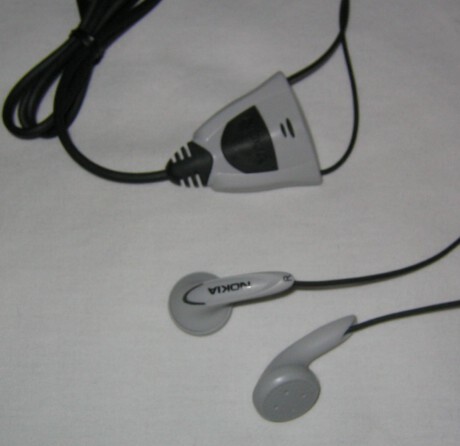 The earpiece is also very good. I leave the volume extremely low (on other devices I have to keep it rather high) and the sound is still strong and easy to hear. Another important factor is the battery life, which on the N90 is great. I have been able to go nearly a week with minimal use, and easily four days with what I would consider standard use. One major thing that users will find missing that basically every other cell phone has is vibrate mode. There is no vibrate functionality on this device so when it is in silent mode, you do not hear it. The ringer is either on or off, though if you are worried about not hearing the phone, the ringer can be turned up incredibly loud. The Nokia N90 is really my first in-depth look ever at a Nokia product. 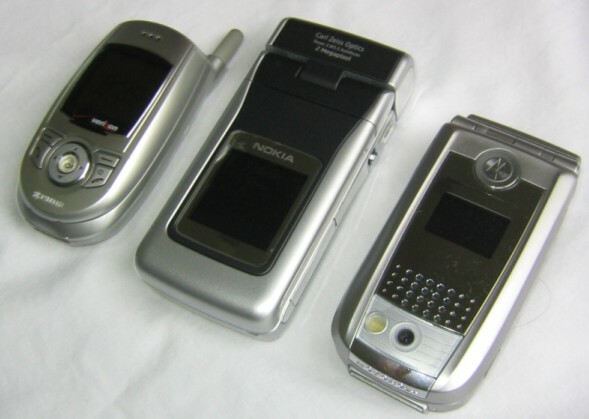 Back with cell phones were starting to become popular everyone always had Nokia products and they seemed to be the standard for cell phones. The N90 is an impressive product. Priced at around $400, it is not a cheap product, costing nearly as much as a PDA. Probably the bulk of this is because of its unique camera feature as well as the powerful hardware inside the device. It is a top notch product and the quality is easy to see when handling the product. But where I think the Nokia N90 falls short is when it actually comes to using the software. Personally, I don't think that the Symbian OS is as clear cut and intuitive as a platform like Windows Mobile. Specially I was disappoint with how the photo gallery was handle when that should be one of the most polished interfaces on the device. The Nokia N90 is a unique product and it is for a person that want a high quality camera built into their phone. Nokia has done a good job of pushing the bar of camera quality and again has brought a unique design to market with the N90.